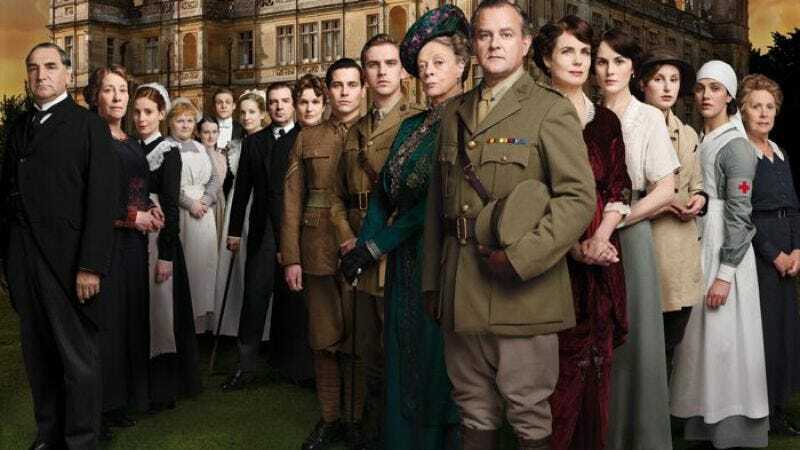 Presuming you haven't torrented the show's second series already, this is a happy day for U.S. Downton Abbey fans, as PBS announced the second series of the multiple-Emmy-winning series will debut Sun., Jan. 8, 2012, as part of its Masterpiece program. The network also announced the return of Emmy-nominated (and A.V. Club approved) Sherlock for three new episodes beginning Sun., May 6, 2012, as part of PBS' Masterpiece Mystery program. Both series have been hugely successful for PBS and have brought the highest ratings in years to the Masterpiece label. Unlike with Downton's first series, which re-edited seven episodes into four episodes for American broadcast, it appears PBS will air the eight episodes of series two as intended, over seven consecutive weeks, with the first broadcast airing the first two episodes. (This should give the network a nice boost in February sweeps.) Sherlock will boast the same cast and creative team as it had for its first series, despite the fact that they're all busy doing thousands of other things, like pretending to be hobbits and/or reveling in the fact that they have the name Benedict Cumberbatch, the most British name that has ever existed. PBS also announced a bunch of new documentaries and other specials to come in the first half of 2012, including an American Experience biography of President Bill Clinton, to go along with that program's many other award-winning presidential biographies, but we know that you don't actually care about American stuff and are, indeed, all about the Brits. We'll also announce that TV Club will cover both programs in full because we enjoy wearing monocles and eating daintily.